Over the last 20+ years, we have successfully helped companies around the world transform their businesses, accelerate sales and increase productivity using the latest technology. We assess what changes organizations need to make to adapt and digitally transform their workplace to position themselves for the future. Over the last 20+ years, we have successfully helped Startups, SMBs (Small & Midsize Businesses) and Enterprises around the world transform their businesses, increase productivity and accelerate sales using the latest technology. We assess what changes organizations need to make to adapt and digitally transform their workplace to position themselves for the future. 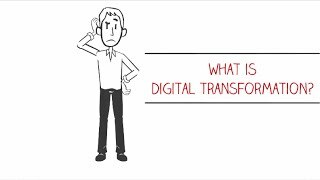 Watch our 90-second video to get a brief introduction into Digital Transformation. Then scroll down to see how we can help you digitally transform your organization. We are currently undergoing a once-in-a-lifetime technology shift that will transform every industry and every business in the world. This megatrend is called Digital Transformation. It is evolving at a pace that none of us have ever experienced. And this is just the beginning... Digital Transformation is the process of fundamentally changing the way you think about your business today. It involves shifting your investments from older technology and business strategies to investing in new innovative business models based on the latest and emerging technologies. This transformation is a necessity to stay competitive and you need to address these changes before your competitors do. Digital Transformation will make a big impact on growing your business, increasing customer success and beating your competition. Would you rather struggle with all this rapid change by yourself or move forward with the assistance of a Digital Transformation Specialist?